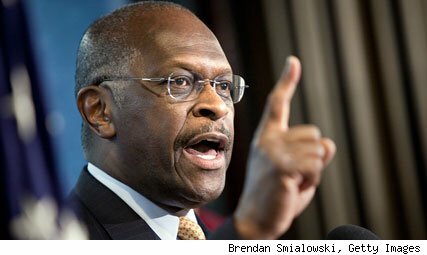 If Herman Cain was President he’d run this country like a restaurant. Government employees would be working 72 hours a week while the rest of us would be rolling silverware with no health benefits. Herman Cain just won a Tea Party presidential straw poll. As one who survived and escaped the world of corporate restaurant management, I have an insider’s perspective on the successful mass feeder’s leadership style and approach to human resources. This entry was posted on March 1, 2011, 9:57 am and is filed under Current Events, Social and Politics. You can follow any responses to this entry through RSS 2.0. You can leave a response, or trackback from your own site.